A version of this article first appeared in The Scotsman on 9 November 2018. For land managers tasked with caring for Scotland’s treasured moorland landscapes, 2018 has not been the easiest year to be out in our hills and glens. The incredibly harsh winter that saw Scotland deep in several feet of snow was followed relatively soon after by a scorching hot summer period, meaning our spring passed in little more than a blink of an eye. For estates with sporting interests and the rural communities which they support, for whom grouse shooting is vital part of the local economy, the conditions have meant the season has largely been wiped out – along with the income that provides to businesses such as hotels, local shops and restaurants. Yet, despite the headlines of a poor season, the picture is far from all doom and gloom. Efforts on estates continue, and land managers have been working to ensure high levels of biodiversity on moorland, particularly in respect of ensuring rare birds continue to thrive. At Glenogil in the Angus Glens, a biodiversity audit conducted by the Game Conservancy Deutschland found 103 different bird species thriving on Glenogil Estate in the Angus Glens this year – an increase of 51% since 2015. The study also recorded more breeding pairs of golden plover found on Glenogil Estate than in the whole of Germany. GWCT’s guide to Conserving the Curlew, published in June last year, showed that in areas where predator control existed, the curlew population increased by 14% per year. It has been a similar tale of success in Strathbraan, Perthshire, where a 20-year programme of woodland planting, grazing reduction, rotational heather burning, predator and bracken control has seen black grouse rise from very low numbers to around 50 male black grouse this year. Other conservation programmes, such as Heads Up for Harriers, are also faring well, with 27 sporting estates volunteering to take part in this important project in 2018. Participation has risen each year, as has the number of successful nests, and there is an increasing number of nests on driven grouse moors too. All of this takes place against a backdrop of decreasing instances of wildlife crime, with recorded levels of raptor persecution now at their lowest ever level. Whilst income from grouse shooting will be negligible this year, investment is made by businesses and owners to allow this conservation effort – which benefits us all – to continue apace. However, this work is not solely focused on birds. Peatlands across Scotland store an estimated 1.6 billion tonnes of carbon and moorland estates are taking part in programmes which will enable carbon sequestration, habitat improvement and restoration of severely eroded areas of upland amid some of Scotland’s most wild and beautiful landscapes. One of the projects covers more than 3,700 acres of land in the Monadhliath and the other involves over 1,200 acres in the Cairngorms National Park. The estates taking part in the restoration projects include Garrogie, Alvie, Pitmain, Farr and Glenmazeran in the Monadhliath and Invercauld, Candacraig, Mar and Glenfeshie in the Cairngorms. Peatland restoration involves, amongst a number of things, restoring the surface hydrology of the peat – so that it develops and maintains a high and stable bog water-table through most of the year. In these conditions, species such as cotton-grasses, bog mosses and a few other plants able to grow in nutrient-poor environments will prosper. In doing so, it will help store carbon – and play a vital role in helping the Scottish Government hit its target to reduce greenhouse gas emissions by 80% by 2032 – and to restore 40% of Scotland’s peatland (618,000 acres) by 2030. We often read critics of grouse moors blaming muirburn for endangering our peatland – but nothing could be further from the truth. 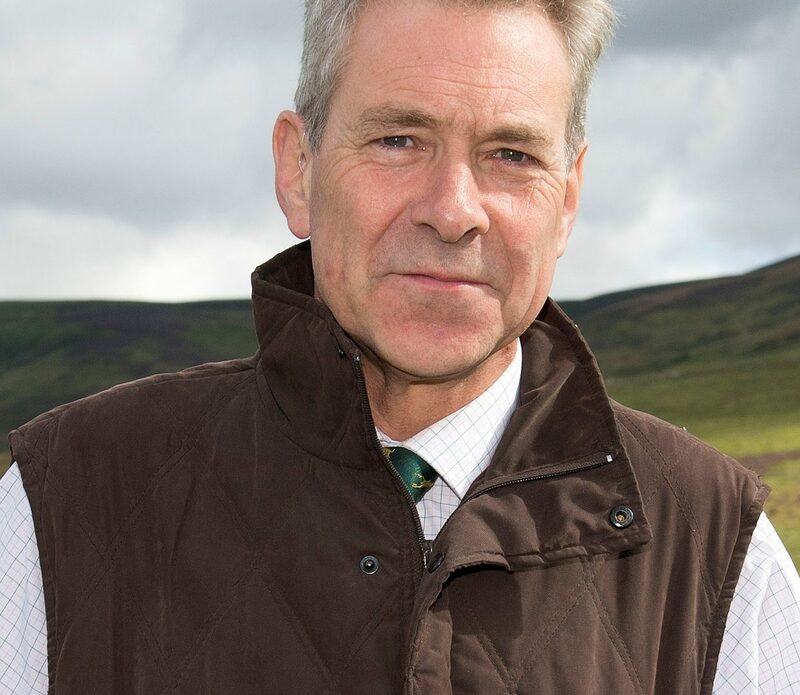 Gamekeepers, who are hugely skilled professionals, have to comply with the Muirburn Code, which was relaunched last year by Environment Secretary Roseanna Cunningham. This sets out the steps by which muirburn is carried out through ‘cool burning’ which regenerates the famous purple heather which is so treasured on Scotland’s moorland landscapes. Such important land management is often overshadowed in the general debate about country sports – but it is not to say that credit is never forthcoming to gamekeepers – and we have been pleased to see recognition for Scotland’s moorland groups, whether it be at the recent Helping it Happen awards or in the work they have carried out to promote Scotland’s finest game as a food source. The Eat Game Awards in London in October saw the Angus Glens Moorland Group nominated in the Game Hero category for their Game for Giving project, an initiative set up to work with local butchers and chefs to create oven ready meals using fresh game and ingredients that are donated to local charities. They were featured in a category alongside TV chefs such as Jamie Oliver, James Martin and Angela Hartnett, and third place in this award went to another Scottish-based nominee – Rachel Richards of Kingussie High School. A home economics teacher, Rachel has been teaching pupils at the school how to handle and cook game meat supplied by local estates through the Speyside Moorland Group. The lessons not only engage the pupils in the craft of food preparation but also ensure the next generation are learning about the nutrition of game meat and the sustainability that hill to plate food provides. Too often, opinions and headlines around grouse moors can be polarised – for or against, good season or bad season. As has been experienced this year, when the weather has intervened in visitors going out on our moors, there remains much for us still to be positive about. Estates with sporting interests do not just exist on the Glorious Twelfth – moorland benefits public goods such as wildlife, the environment and food all year round.